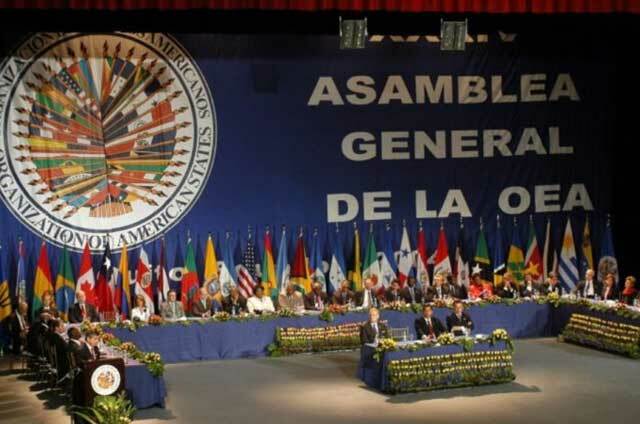 The 47th General Assembly of the Permanent Council of the Organization of American States (OAS) is being held in Cancún from June 19th to June 21st. More than 1,000 people from the 34 member countries (except Cuba) are expected to attend, including 72 permanent observers, special guests and civil society organizations, among others. This is the first time that Mexico hosts an OAS General Assembly. According to El Diario de Yucatán, the country assures its commitment to giving all the necessary technical and logistical services in the venue, which is the Hotel Moon Palace, as well as providing strong security measures to ensure the safety of the attendees. They have installed four checkpoints on routes to the hotel, located on the outskirts of Cancun. In order to get in, journalists and delegation members must be in official vehicles and go through double accreditation inspections. In addition, Air Force planes are overflying the city, where at least a hundred Venezuelans have concentrated on several points to demand an intervention by the OAS to stop the “Humanitarian crisis” in their country. The General Assembly, whose official theme is “Strengthening Dialogue and Concertation for Prosperity,” was to be inaugurated Monday evening by Enrique Peña Nieto, México’s President. The foreign ministers will seek an agreement for a conclusion of the crisis happening in Venezuela, whose government opposed any mediation of the OAS at the General Assembly held last year in Washington, thus, concluding without an accord. On Wednesday, the second plenary session will be held, with a panel discussion on “Rule of Law – Democracy and Human Rights” and another one on “Multidimensional Security”. Afterwards, the third plenary session will take place, where several reports will be presented, including those of the Inter-American Commission on Human Rights (IACHR) and the Inter-American Court of Human Rights. Likewise, the date and headquarters of the 48th General Assembly will be discussed. 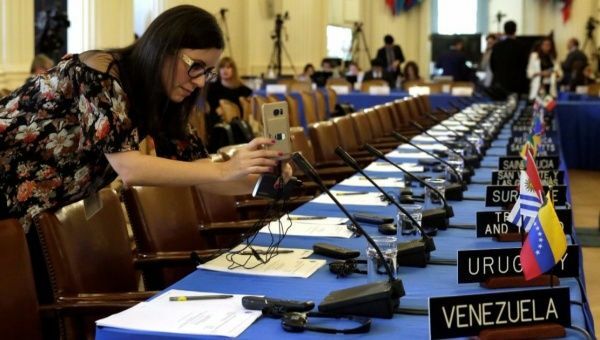 The OAS countries will elect three new Commissioners of the IACHR for the 2018-2021 period, choosing from six candidates from Argentina, Uruguay, Mexico, Brazil, Chile and the United States. The two OAS Human Rights bodies will ask member countries to double their funding, making the annual system’s budget of $ 18.2 million; around 11.2 for the Commission and 6.9 for the Court. Finally, on Wednesday evening, the President of the General Assembly will lead the closing ceremony, which will be followed by a press conference.